We recently ran a workshop to show businesses and organisations one of the best and simplest ways to raise their profiles through the media – create a press release. Why? Well, in a world of 140-character tweets, “likes” and “follows”, the press release remains a brilliant way to tell ’n’ sell, whether you’re a sole trader or a multinational business. 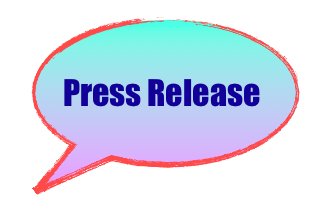 Yes, it has evolved, but here’s the really good news: what makes a press release stand out has not changed. Have news to convey. As a journalist on the Daily Express, I would see dozens of press releases every day. Rarely did one contain real news. Write like a journalist. Too often releases are written in a way to please the boss (or, in the case of those from some PR companies, to please the client). That’s rarely what journalists and their audience want to read or hear. Do claims stand up to scrutiny? Is it truly topical? Avoid a “scattergun” approach. It’s too easy to hit “send to all”. Tailor a release to a specific media outlet. Focus on the title and introduction. As a journalist, if I wasn’t grabbed by these, I wouldn’t read on, so make sure the title conveys the story. Think pictures. Twitter says people are three times more likely to engage with Tweets containing videos and photos, so why wouldn’t you include images in a release to catch the eye too? Include quotes that enhance the release. I wish I had £1 for every release featuring a quote from the boss saying, “We’re delighted to…” Don’t state the obvious. Beware the “boilerplate”. This is usually a couple of background paragraphs after the main release. If the boilerplate contains important information, put it in the main release; if not, why is it there?! Be accurate. Simple spelling errors make us wonder what else might be wrong. Think about timing. The best release easily becomes the worst if you’ve overlooked the long lead time of a monthly magazine or if a newspaper ran a similar story yesterday. Be creative. Don’t just send the release to journalists – link to it with tweets and postings on Instagram etc.. So that’s a quick summary – if you’d like to know more, or come on one of our press release workshops, get in touch! Ann Bird has been a media trainer for 15 years, coaching delegates from Europe to Asia. Many have gone on to be interviewed on national and international TV and radio – including one who appeared on Sky News just hours after the training! Numerous delegates have also been interviewed by the world’s best known newspapers.